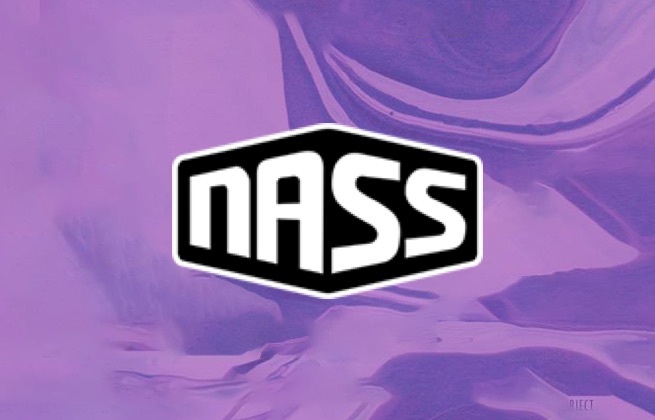 This ticket allows general access to NASS Festival 2019 for the entire weekend, Thursday 11 July - Monday 15 July for persons aged 16+ years and include standard campsite access. This ticket includes £5 redeemable litter bond and needs to be issued to you as a separate e-ticket. This ticket allows general access to NASS Festival 2019 for Friday only and does not include camping access. This ticket allows general access to NASS Festival 2019 for Saturday only and does not include camping access. This ticket allows general access to NASS Festival 2019 for Sunday only and does not include camping access. This ticket allows VIP access to NASS Festival 2019 for the entire weekend, Thursday 11 July - Monday 15 July for persons aged 16+ years and include a a VIP Weekend Parking pass and campsite access. This ticket includes £5 redeemable litter bond and needs to be issued to you as a separate e-ticket. This ticket allows VIP access to NASS Festival 2019 for Friday only and does not include camping access. This ticket allows VIP access to NASS Festival 2019 for Saturday only and does not include camping access. This ticket allows VIP access to NASS Festival 2019 for Sunday only and does not include camping access. Enjoy a good night’s sleep and get the most out of your NASS weekend. All set in a spacious campsite with posh showers and fancy bathrooms. 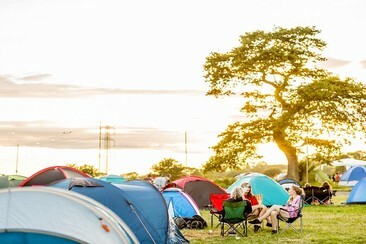 These popular no-hassle tent packages are a great option for festival-goers who would like added luxury without breaking the bank. 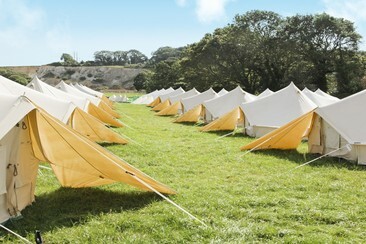 Tent packages include pre-erected tents and inflatable mattresses. Enjoy a good night’s sleep and get the most out of your NASS weekend. All set in a spacious campsite with posh showers and fancy bathrooms. Add a touch of hassle-free luxury to your festival experience with two, three or four-person Bell tent accommodation set in the Glamping campsite, fully equipped and ready for your arrival. Enjoy a good night’s sleep and get the most out of your NASS weekend. All set in a spacious campsite with posh showers and fancy bathrooms. 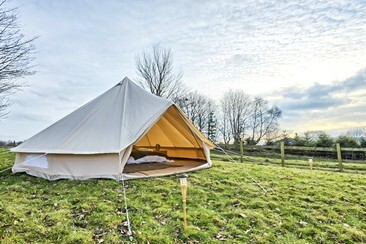 Luxury Bell Tent accommodation set in Glamping campsite, fully equipped and ready for your arrival. 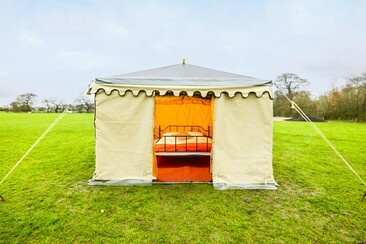 The Luxury Bell Tent package includes all the benefits of the Standard Bell Tent plus those extra luxury upgrades to make your weekend as comfortable as possible. Enjoy a good night’s sleep and get the most out of your NASS weekend. All set in a spacious campsite with posh showers and fancy bathrooms. These impressive Arabian tents feel like a Sultan’s lair. They are filled with so much luxury you’ll never want to leave. Decorated with hand printed Moroccan lining, metal frame beds and memory foam mattresses, Egyptian cotton bed linen and sumptuous duvets we won’t blame you for drifting off into a Moroccan themed world of dreams. Enjoy a good night’s sleep and get the most out of your NASS weekend. All set in a spacious campsite with posh showers and fancy bathrooms. 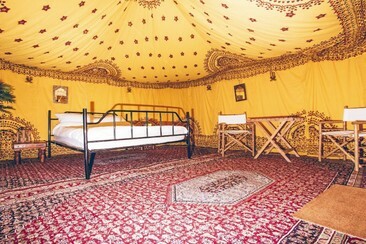 These impressive Arabian tents feel like a Sultan’s lair. They are filled with so much luxury you’ll never want to leave. Decorated with thick Persian rugs, hand printed Moroccan lining, metal frame beds and memory foam mattresses, Egyptian cotton bed linen and sumptuous duvets we won’t blame you for drifting off into a Moroccan themed world of dreams. Parking passes are valid for one vehicle only, in conjunction with the corresponding festival entry ticket. This pass allows access for one campervan vehicle from Thursday to Monday to NASS Campervan Car Park. Please note this is only valid with a 4 Day Camping or VIP Camping ticket.